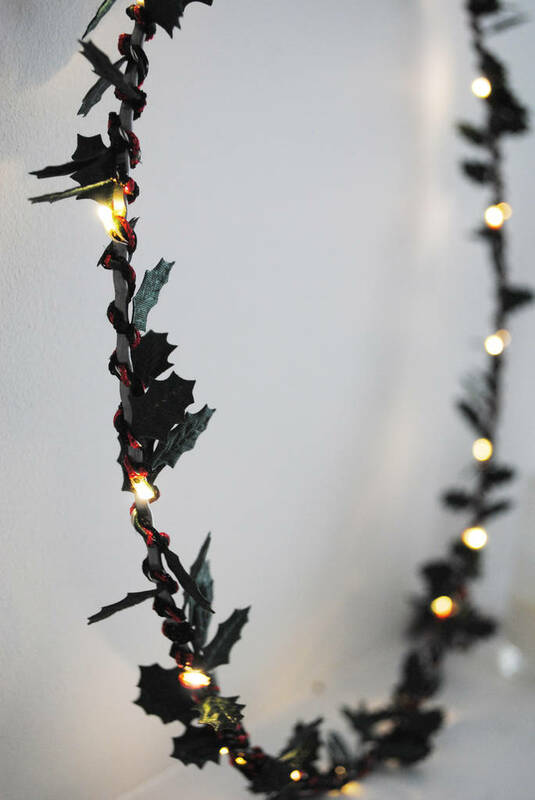 The lights are wrapped in holly leaves black and gold threads to make this a truely stunning decoration you will want to use year after year. 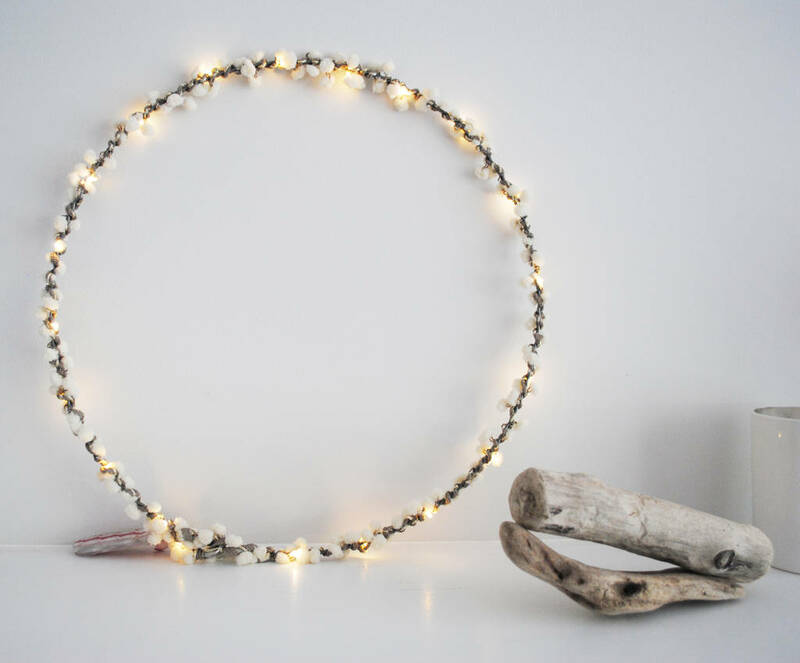 If you love Scandi or minimalist styling look no further for your Christmas decorations. 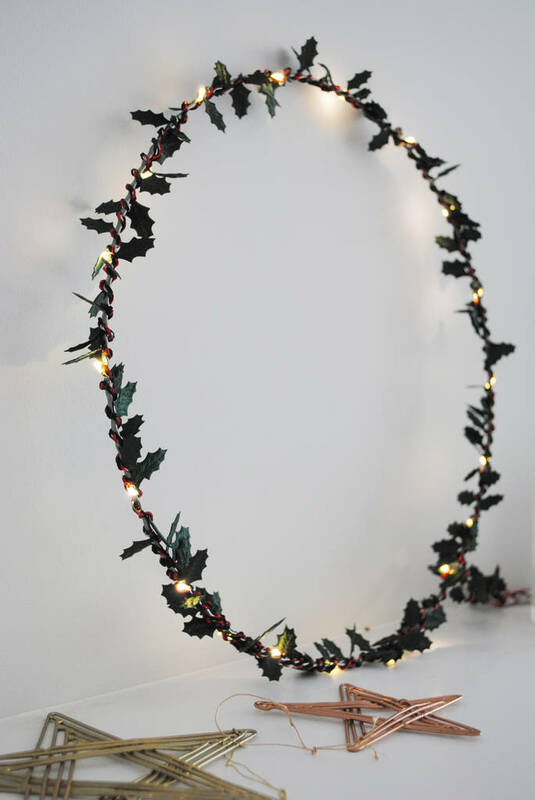 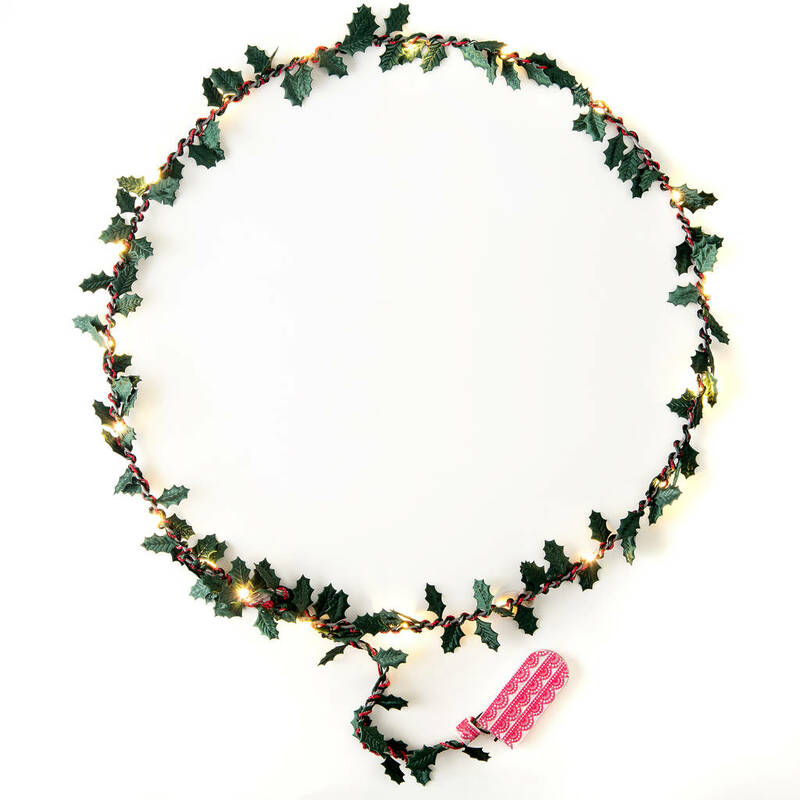 This stunning wreath brings all the joy of Christmas with a modern aestetic. 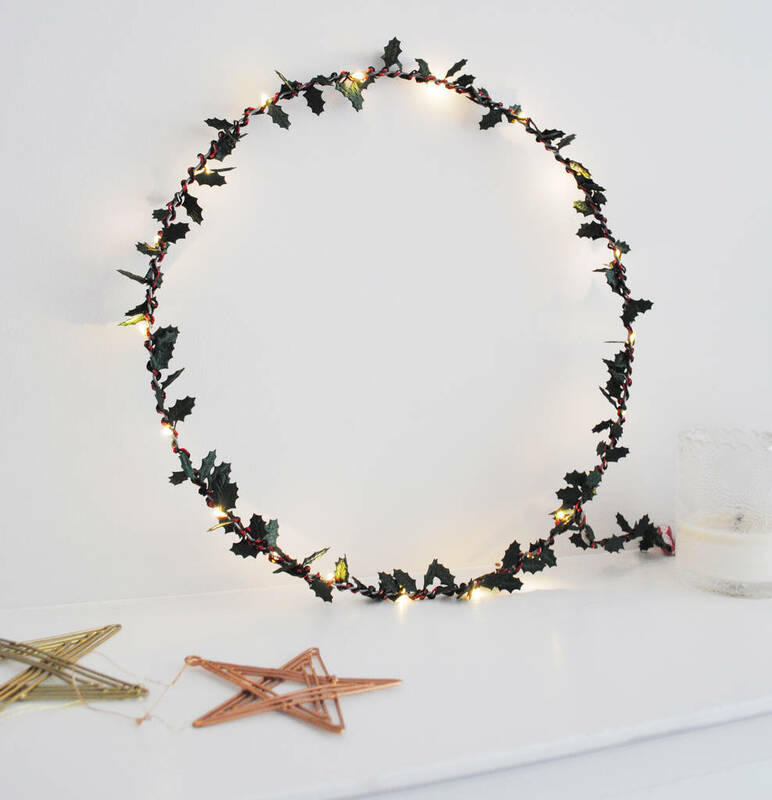 Every light wreath is hand wrapped with fairy lights which are themselves hand spun with holly leaves and a fine red and black thread.